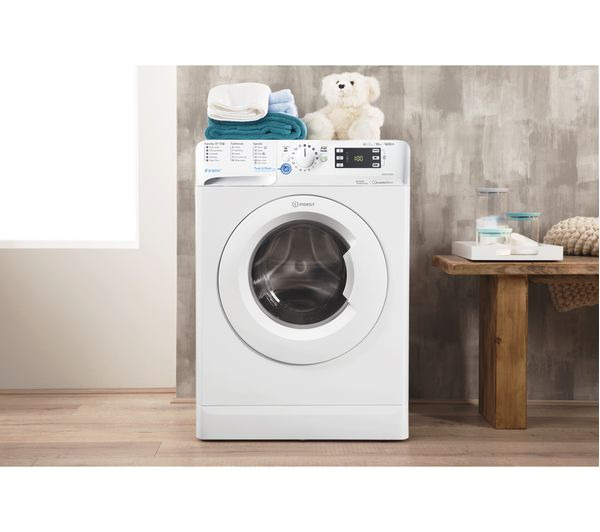 Make the most of laundry days with this white Indesit Innex washing machine. Thanks to its huge 10kg capacity, this model is ideal for powering through the washing pile in large households. 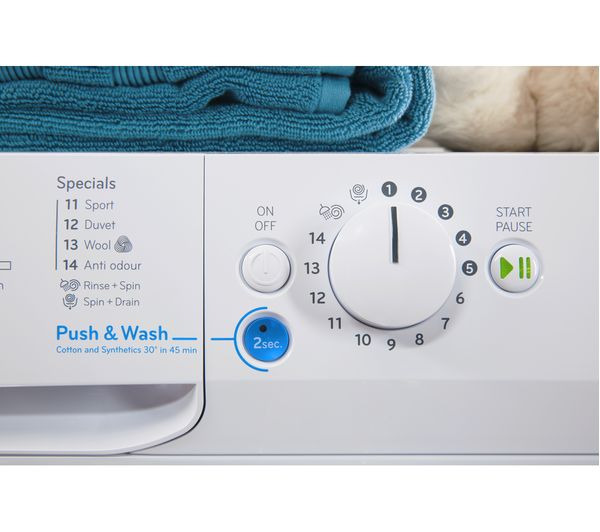 The handy Push & Wash function makes washing your clothes super easy too. Just press the button for 2 seconds and it will thoroughly clean your clothes at 30 degrees in just 50 minutes – perfect for mixed loads. 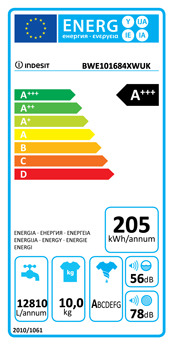 INDESIT 1600 10 KG"1-TOUCH INVERTER MOTOR"